TBA Media started essentially by demand; the founders of the business worked on a few projects together and the result of success of the projects lead to a lot more demand for the partnership. After a year of working together it was decided that the duo would start offering their services formally, so TBA Media was created. The result of success of the initial projects lead to a lot more demand for the company to begin. Since inception in 2009, TBA Media has enhanced, increased, and fully developed their skill set and web designing crafts, as well as built a solid team of skilled experts in coding, content writing and CMS development. SEO, SEM, social media management and complex website and E-commerce creation have all become an integral part of the services we offer. One of the innovations TBA Media brings to web design is our ‘Purpose Built SEO Websites’ that are built purely to rank in Google. It’s this type of forward thinking that keeps TBA Media at the forefront of the web design market. David has nearly 20 years of experience within the space of Sales and Marketing. SEO, SEM, Internet Marketing and Digital Marketing have become an acquired addition to his skills, and some what of an addiction within his personality. As an established and successful entrepreneur in his own rights, David has helped launch and develop many brands and companies you may have heard of. Lee’s design capabilities are unquestioned in the industry. His passion for perfection in the realms of creative design for both websites, print and online media are highly reputed in the industry. Lee has even been hand picked for design by some of the world best on line gamers. Lee develops creative for both hand coded, and WordPress websites. Lee also has experience in designing APPS and business software of various functions and types. As a client of TBA Media you will deal directly with your project manager, throughout the project you will be regularly informed about results and progression, and of course on demand. As we progress through each stage of our ‘client safe’ web development and digital marketing process, you will be needed for approvals, content consultations and input where required, and the rest we will take care of! We will seek your approval for the concept, content, design and coding stages to ensure the final product is exactly as intended. As a company we understand that only through good service and great results will our strong reputation be upheld even through the growth and increasing popularity of our company. We display a number of results in our website portfolio, and case studies section. We also provide evidence through the testimonials of the businesses we help. Feel free to contact any of these businesses to verify the results. With a world class website designer, industry best coders, and a service team that has a vested interest in seeing great results, you would find it hard to find a better and more proven website design, SEO and digital marketing company. 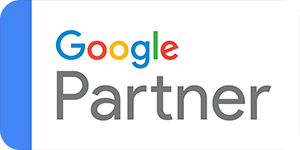 If you are interested in more real website conversion results, please contact us for an update on our overall tracked website conversions through Google AdWords. You can trust our superior process, and ‘team effort’, we can take the hassle out of your web design project. Working autonomously with little input, you can be as ‘hands-on’ or ‘hands-off’ as you choose to be. We have specifically skilled team members working on different parts of your project. Concepts and wire frames, page layout, graphic design and SEO structures are all taken care of by our experts. Let our expertise guide you through the project, from start to finish, you can trust the result will only exceed your expectations.